This Piano is for Playing! The Owl & the Pussycat went to sea in a beautiful pea green boat! 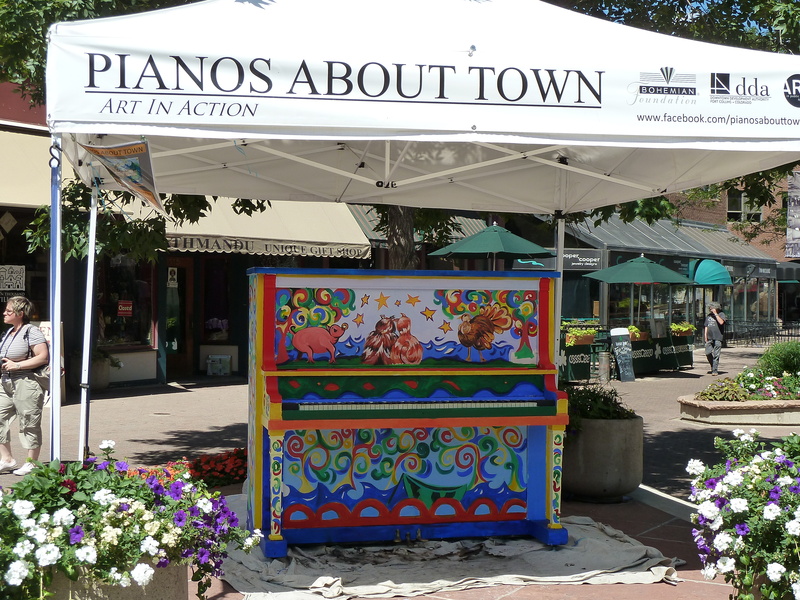 Fort Collins Pianos about Town project. 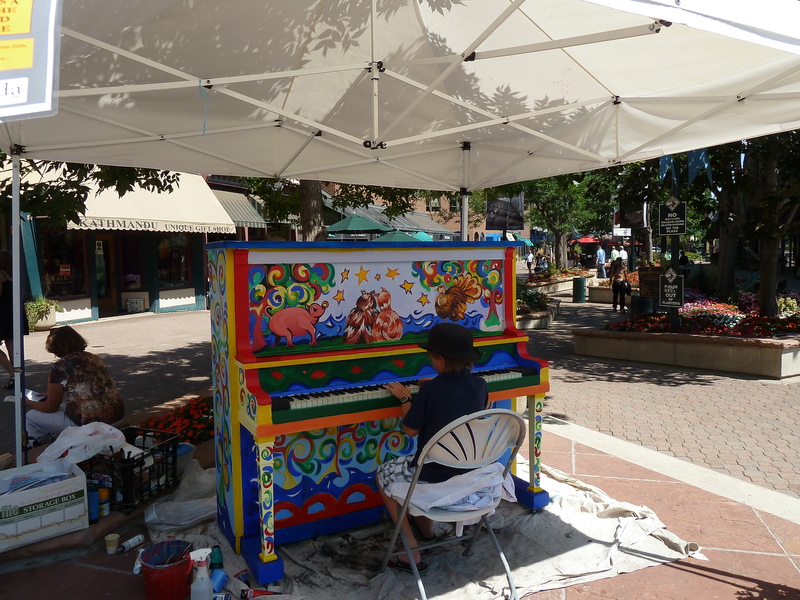 Artists paint (donated) pianos and they are moved about town every two weeks and are meant to be played! My piano is the story of the Owl & the Pussycat, a poem written by Edward Lear in 1861 for a friend’s young daughter and it’s love and humor are as real today as then. I had a great time painting in Old Town Square and reciting the poem to passerbyers; some knew the poem and those who didn’t loved it! People played the piano while I painted, a great time was had by all!